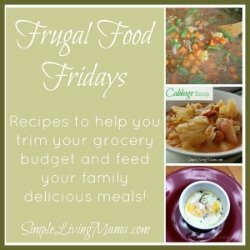 It’s time for another Frugal Food Friday post! Today I am sharing another family favorite. This recipe is so incredibly simple. I make chicken broccoli Alfredo at least every month. Sometimes twice a month. The recipe calls for so few ingredients that it’s a cinch to whip up in the afternoons. Start by boiling a pot of water for your pasta. While the pot is boiling, cube your chicken breasts. Heat a large skillet on the stove and melt some butter in it. Toss the cubed chicken in the skillet and cook it til it’s done! At this point you may wish to add some minced garlic and cook for a few minutes. Throw in a package of frozen broccoli, or use fresh that you have chopped. Add the cream of chicken soup, milk, Parmesan cheese, and any seasonings such as onion powder or garlic powder. Once your pasta is cooked to al dente, drain it and toss it with the creamy chicken mixture. Top with more Parmesan cheese! 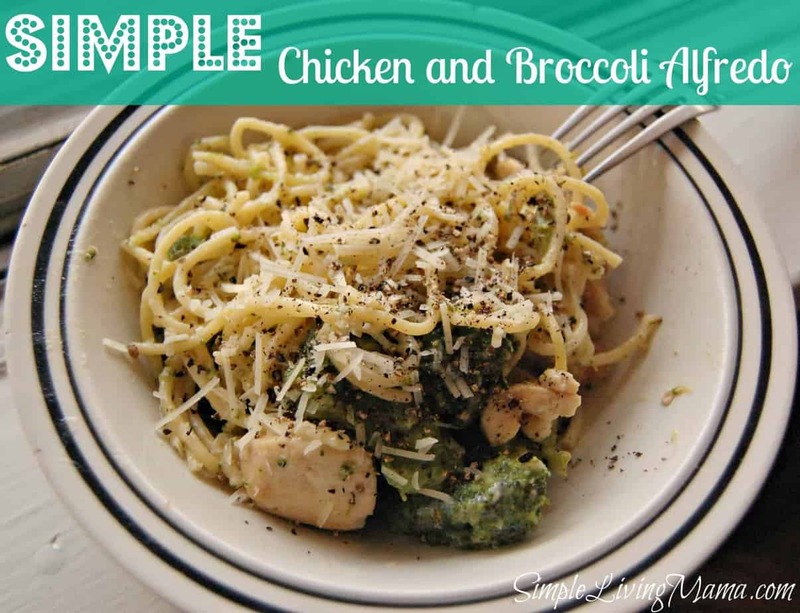 A very simple pasta dish with bits of chicken and broccoli in a creamy sauce. Meanwhile, melt butter in a large skillet and cook cubed chicken breasts. Add broccoli and cook for 2 minutes. Stir in cream of chicken soup and Parmesan cheese. You may add additional seasonings such as garlic powder or onion powder. Saute garlic with chicken before adding broccoli for more flavor. Delicious! You may just have solved my dinner dilemma! I even have the spaghetti noodles cooked already! Will have to steam the broccoli but not a big deal! Looks like you have quite a few yummy recipes. I love the widget that I use for the recipe box. It’s a WP plugin called Recipe Card.